Bill Willingham's celebrated comic series comes to a close this year. If you've missed Fables for the last 13 years, now's the time to binge. Like most things in life I started this series the wrong way around and 13 years behind schedule. 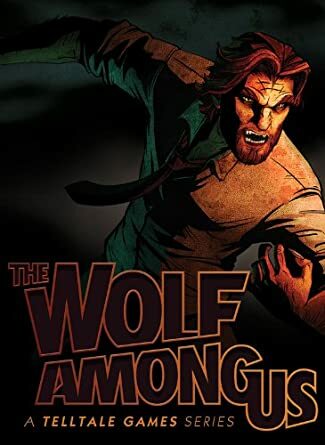 My interest in Fables peaked after playing the video game Wolf Among Us a few weeks back, produced by my favorite game folks at TellTale Games. I'm a big fan of TellTale, the only one I haven't tried is The Walking Dead (I don't do zombies). So then I started reading the comic the Wolf Among Us which is a prequel to Fables, but I got impatient waiting for the next single-issue. I picked up Fairest, another spin-off, on the way somewhere, but then I realize that I really needed to start the series from the beginning. This sort of worked out for me because, as my friends know, I like to start a series when it's at or near completion (I just started Downton Abbey last week). That way I can gather all the materials and go at it in one glorious weekend. And so our story begins*: Bill Willingham's Fables chronicles the lives of your favorite fairy tale characters including Snow White, Old King Cole, Little Boy Blue, the three little pigs, Belle, the Beast, The Big Bad Wolf, and all the rest. They are now all citizens of Fabletown, a secret neighborhood in New York City, which they founded after fleeing their homelands from the evil force known as The Adversary (kind of reminds me of the Nothing from NeverEnding Story). Snow White runs the town, the Big Bad Wolf known as Bigby, is the sheriff, Prince charming is the neighborhood sleazeball, and one of Oz's the flying monkeys is the drunk librarian. Drama ensues. Also, it's not for kids. Fables v. 21: Happily Ever After came out in May in the final trade edition in the series, v. 22 Farewell will be issued in late July. After you've read that, there are more than 10 spin-offs, the aforementioned game and, reportedly, a movie in the works. The fun never ends! Are you into Fables? Let me know below, but no spoilers, please, I'm only on #5.